McVitie’s have released some new pouches of biscuity goodies and given they have my name on them I couldn’t not try them!! 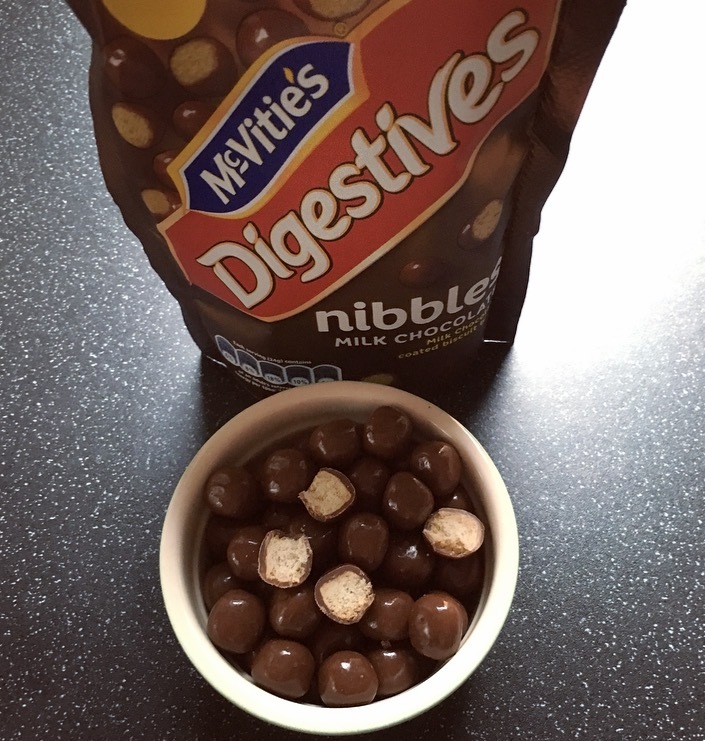 Enter McVitie’s Digestives Nibbles. They come in 4 varieties, Milk Chocolate, Caramel, Dark chocolate and Double Chocolate and are chocolatey biscuit forms of their ever popular Digestives, just bitesize. 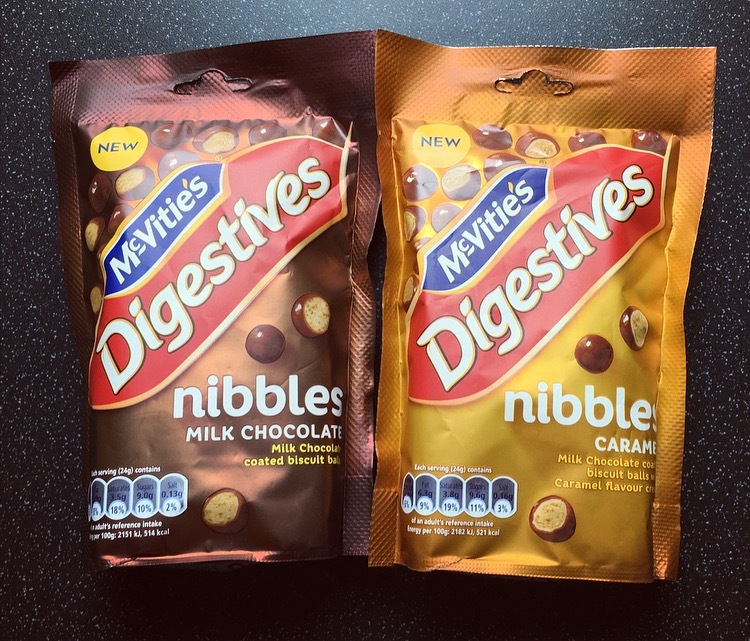 McVitie’s aim is for these to be the new evening sharing treat but to me biscuits are there for dunking or accompanying your tea and coffee, not so much an evening munchy treat, but by all means I am welcome to change. I picked up the Milk Chocolate and Caramel Nibbles, the only varieties they had in my local Sainsbury’s, for £1.60 each. Each bag is filled with 120g of chocolate biscuit nibbles, a little pricey when you think you can buy a pack more than double in weight of chocolate digestives for £1.50, and more often than not they are on offer for a £1. Right lets get nibbling. First up we have the milk chocolate coated biscuit balls. Aside from the plain old digestive these are my next fave, especially dunking in my tea and the chocolate is all melty and delicious, so I have high expectations over these nibbles. Each biscuit ball is coated in a rather generous layer of thick glossy milk chocolate, and was the perfect proportion to crunchy biscuit. The milk chocolate was exactly like the biscuit version, good quality, silky and melts in the mouth. These are a little sweeter than expected but didn’t deter from eating most of the packet. These are a winner! Here we have very similar looking bite size biscuits except these are milk chocolate coated biscuit balls with caramel flavour cream. I’ll be honest I’m not a fan of the standard Digestive Caramel Biscuits, I find them far too chewy, but these nibbles are rather delightful. Again the biscuit to chocolate ratio is spot on, they still have that crunch factor that makes them biscuity and the quality is good. I couldn’t detect any cream, I am not sure how that’s incorporated in the nibbles but the smell of sweet caramel was instant upon opening, and evident in tasting. 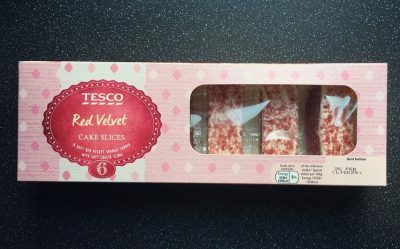 These are far nicer than the biscuit version but if anything these nibbles were incredibly sweet and I cannot see people being able to eat many before they are overcome with sweetness and toothache. 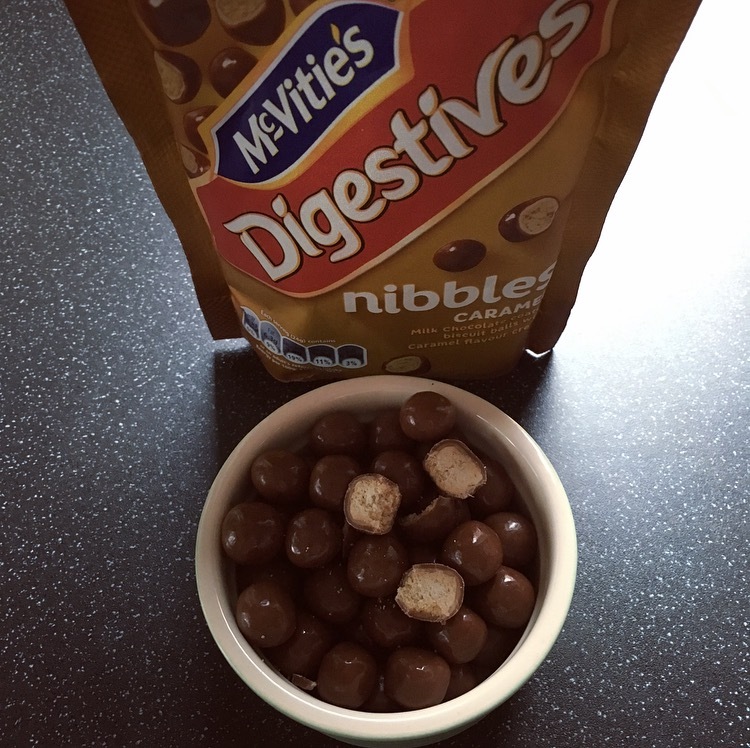 There we have the McVitie’s Digestives Nibbles. The milk chocolate is by far the clear winner with the caramel lagging behind purely because of the sweetness. These packets are resealable but the resealable tab is as effective as a chocolate teapot. I like the concept McVitie’s have gone for with them being more of a treat pouch and sharing item, and they would be great for parties, but I cannot get away from the fact I would at home, still opt for an actual biscuit. 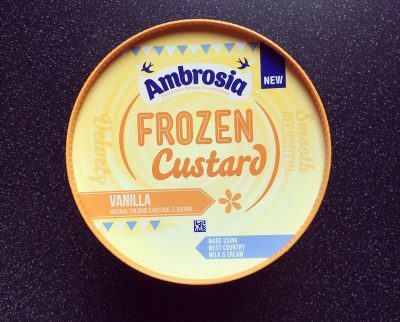 How many calories in a 24gram serving? Are these comparable to maltesers? They look like maltesers.